All through the spring, summer and fall months you're most likely to find me parked in a window watching the world go by. The birds, the bees, the butterflies, the squirrels...there's an endless supply of creatures to while away the hours watching. Now that winter is here it's a whole other story. The bugs are all gone and the critters that are still around rarely make an appearance. I'm bored, but lucky for me the nice people at Petmate sent me a brand new toy, purrfect for bringing the great outdoors inside to kitties everywhere year round! 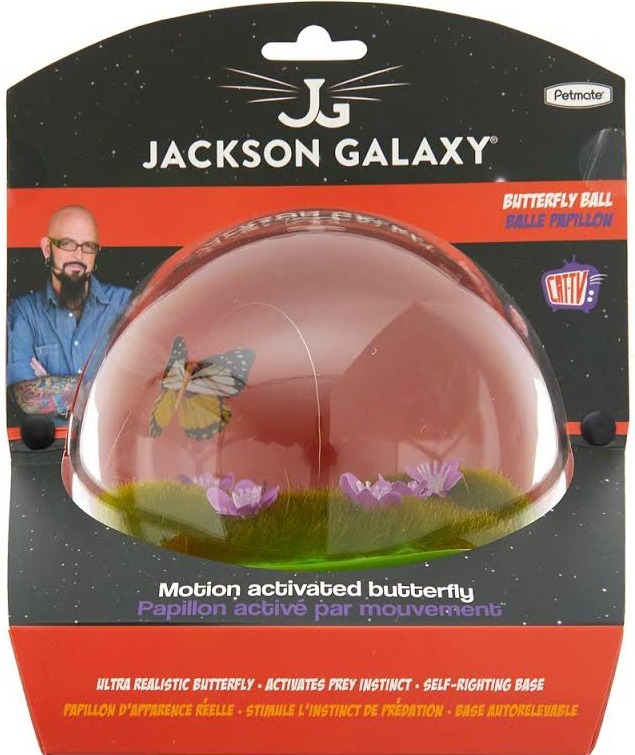 It's Jackson Galaxy's Butterfly Ball, and it earns the Official Mudpie Paw of Approval! 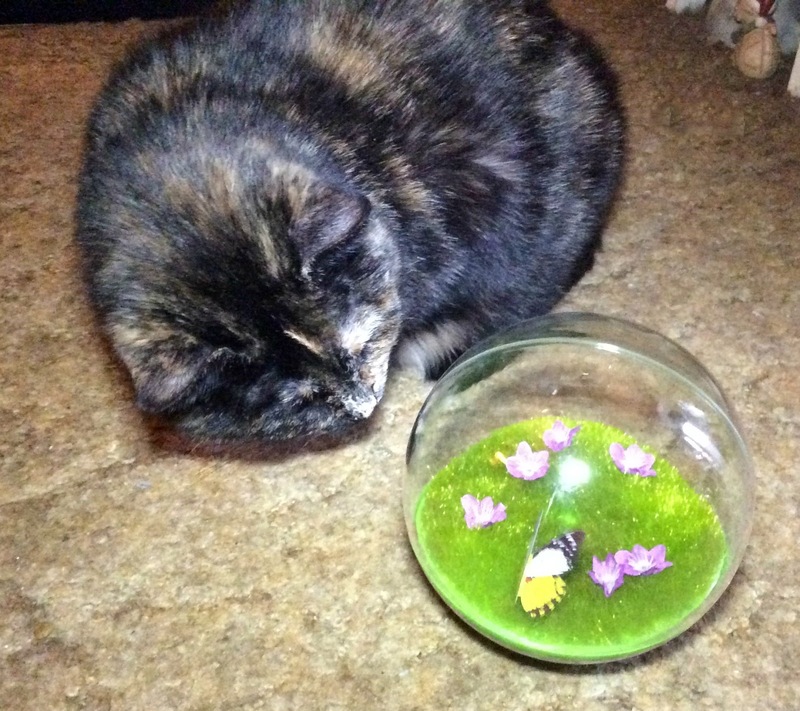 Seriouslies, this toy is certain to rock any indoor cat's world. What's not to love? Inside the terrarium is a scene that replicates the world outside our windows. 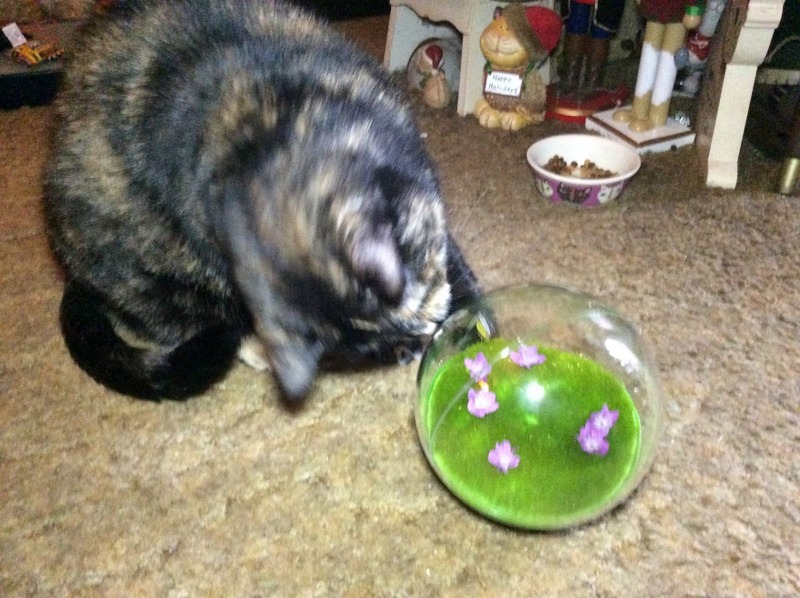 The ball is designed to keep us kitties entertained for hours with a realistic fluttering butterfly that flies around each time we paw at the ball, and the weighted base provides a fun wobble while keeping butterfly upright. It's the very best of Cat TV, tapping into our natural instinct to observe and track prey. 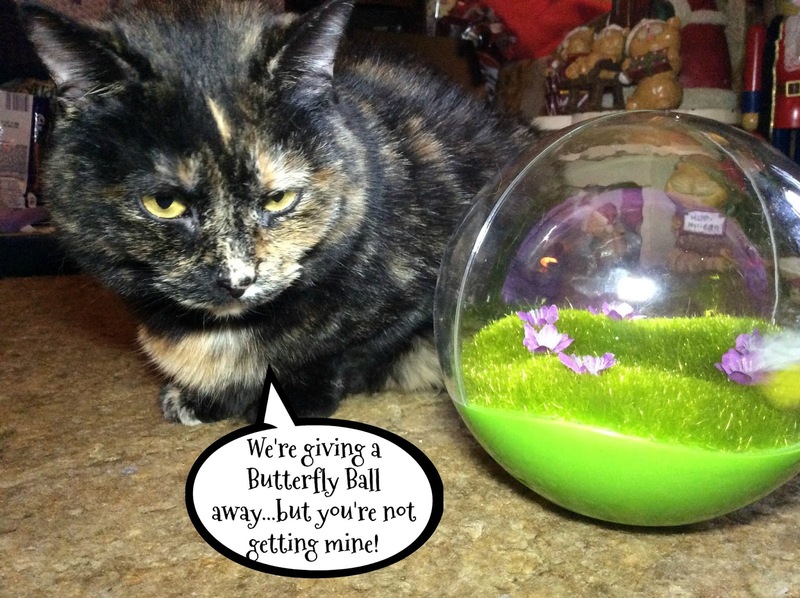 You read that right...thanks to our friends at Petmate one lucky kitty (or kitty family) in the US is going to win a Butterfly Ball of their very own! I hope you don't think I'm lacking in the Christmas spirit by saying you can't have mine, but I really, really, really love this toy! I have no doubt that whoever wins my giveaway and any kitties lucky enough to find a Butterfly Ball under their tree on Christmas morning will enjoy it every bit as much as I do. To enter simply fill out the Rafflecopter below. Good luck, everyone! 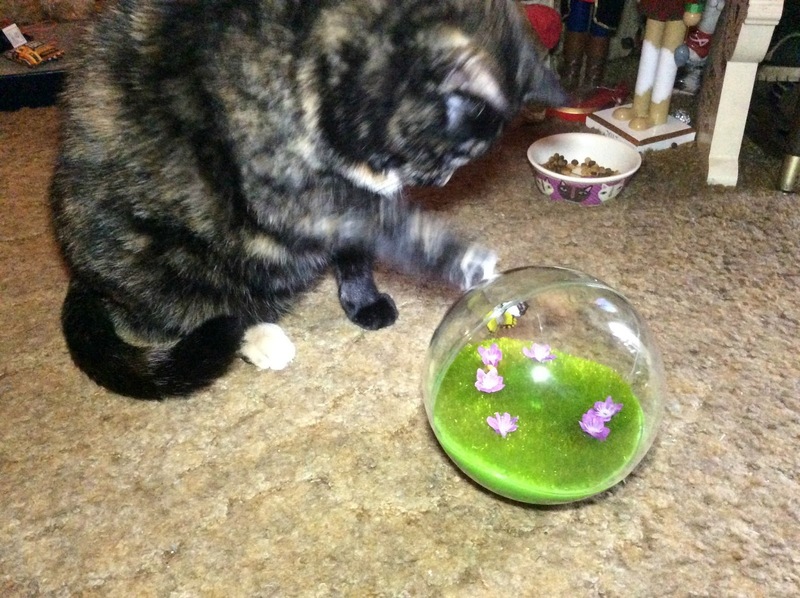 Disclaimer: We received a free Butterfly Ball from Petmate in exchange for an honest review. All opinions are our own and we never recommend a product we don’t fully believe in. Wow, that looks like the most fun toy ever! My human is not a fan of mechanical type toys, and we kitties usually aren't either, but this butterfly one looks extra special. 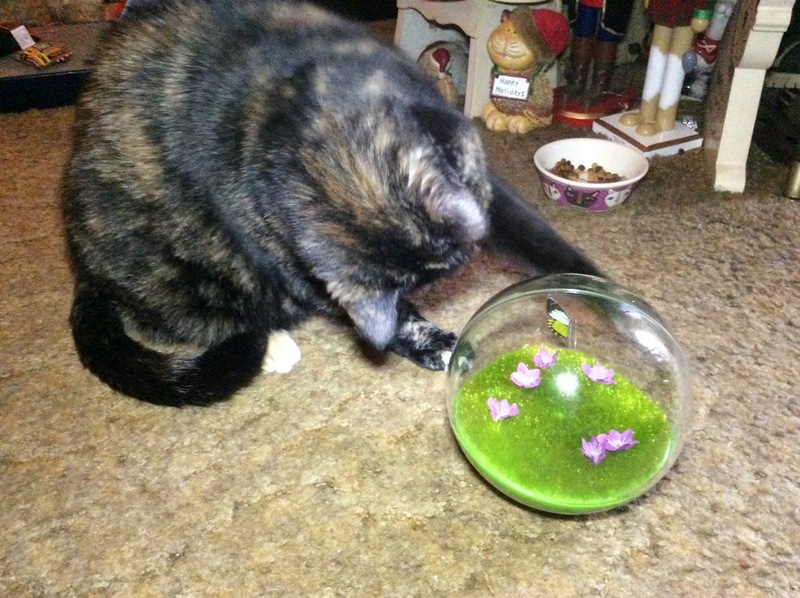 I saw that at BlogPaws and thought it looked like fun, but since then I haven't been able to find one to buy for our kitties. You sure seem to like it, Mudpie! That looks like a fun toy. This toy looks like a winner. And you are the cutest model for it, Mudpie! Da Boyz will love this! Thanks for the giveaway! We're giving away one of these today, too! Aren't they the best! I bet Bear would love this! Good job, Mudpie! That looks like fun. Miss Mudpie is so adorable. Oh. My. Gosh! That looks awesome! !